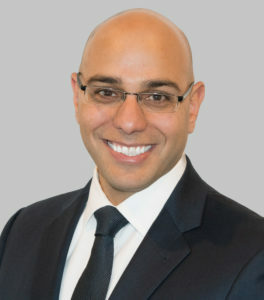 Aaron Siri is the Managing Partner of Siri & Glimstad LLP and has extensive experience in a wide range of complex civil litigation matters, including acting as counsel for clients in multiple disputes exceeding one billion dollars. Represented plaintiffs in ERISA matter filed as a class action involving alleged breaches of fiduciary duty related to the management and termination of an ESOP (Kindle v. Dejana, No. 14-cv-06784 (E.D.N.Y.)). Prior to founding Siri & Glimstad, Mr. Siri was a litigation attorney at Latham & Watkins for over five years. Before Latham, Mr. Siri clerked for the Chief Justice of the Supreme Court of Israel (Aharon Barak) from 2004-2005 where he advised the Chief Justice of relevant American, English (including Commonwealth Countries such as Canada, Australia, and New Zealand) and International Law precedents for cases of first impression, including in the areas of entity taxation, fiduciary duties, adoption, wills, bankruptcy and corporate liability, as well as the international law implications of Israel’s planned removal, by force or otherwise, of approximately 8,500 of its citizens from the Gaza Strip/West Bank. Mr. Siri has also been involved in various pro-bono matters, including representation of asylum applicants, housing discrimination victims (including Dunlap et al. v. Jacobs et al., 1:06-cv-06160-CM (S.D.N.Y. )), and non-profit organizations in tenant-landlord disputes, as well as being chosen as a Frank C. Newman delegate to present a paper he authored and speak before the United Nations Human Rights Sub-Commission. Mr. Siri earned his law degree at the University of California, Berkeley School of Law where he received four Prosser Prizes and ten High Honors. He was also the Editor-in-Chief and founder of the Berkeley Business Law Journal, which he developed into a nationally recognized publication, ranked in the top 10 of 132 peer journals. Mr. Siri earned a Bachelor of Science in Accounting with Honors from Yeshiva University. Prior to law school, Mr. Siri was an auditor at Arthur Andersen LLP, where he examined internal controls and audited corporate documents for private and public micro-cap technology companies. Mr. Siri is a Certified Public Accountant.